Data from industry analysts CAP and The Society of Motor Manufacturers and Traders shows that nearly three quarters of new cars are now fitted with DAB digital radio. Figures for the third quarter of 2015 show that the number of new cars fitted with digital radio as standard in September 2015 has increased by 40% compared to September 2014 (343,000 in September 2015 vs 245,000 in September 2014) and that the proportion with digital radio has increased to 74.1% from 57.6% in September 2014, and 41.5% in September 2013. Ed Vaizey, Minister for Culture and the Digital Economy, will officially announce the latest figures to delegates at Radio's Digital Countdown in London later today. 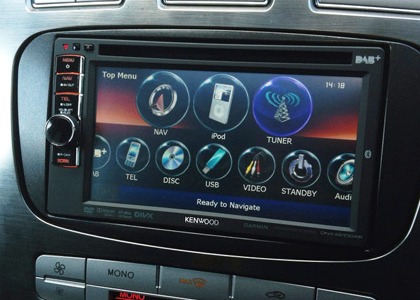 Vehicle Manufacturers say they have made the decision to fit digital radio in new cars in response to the increasing popularity of digital radio, the increase in the number of exclusive digital radio stations and the expansion of DAB transmitters to cover the major road network. The UK Government has set coverage and listening criteria for a future radio switchover, while Norway has become the first country in the world to set a timetable for radio switchover (the end of 2017). Meanwhile, manufacturer Pure and multiplex operator Sound Digital are to confirm details of a strategic partnership which will support the launch of Pure’s highly anticipated in-car digital radio adapter in spring 2016 in line with the launch of the new Sound Digital DAB multiplex, bringing additional services to digital radio next year. These figures have often raised eyebrows among a516digital readers in the past couple of years. All of the UK's top selling cars listed here include at least one range that has DAB digital radio as standard. With DAB often being part of a flashy in-car entertainment system, like the one pictured above, and often available as standard in those models that also contain a few other desirable perks compared to the most basic models (which may not have DAB or have it as an extra option), it's perhaps not surprising that the proportion of cars sold with DAB has now nearly reached 75% of new cars. But what percentage of cars on the road have a DAB radio? That's the figure that matters surely?